Spirulina a popular nutritional supplement with good reason. Spirulina is a rich source of essential nutrients, vitamins, minerals, and essential fatty acids, including GLA. Spirulina contains 65% to 71% amino acids, more than beef which only contains 22%. Spirulina is of the few plant sources of B12, with a teaspoon full supplying twice the RDA of B12. Spirulina also provides high concentrations of chelated minerals, and complex plant sugars, trace elements, and enzymes that are in an easy to assimilate form. In fact spirulina is such a complete food source it is often used to supplement the diet during cleansing fasts, and by those who may not have access to enough fresh vegetables. 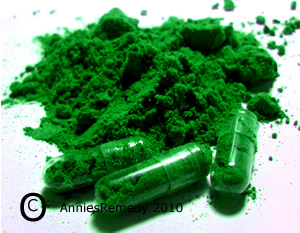 Preparation Methods & Dosage :Spirulina powder is used in smoothies, or taken in capsule form. Sometimes found as an extract. Spriulina is a simple, one-celled phytoplankton that thrives in warm, alkaline fresh water lakes. 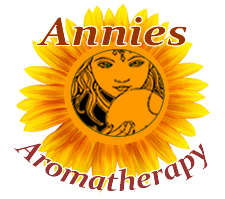 The name comes from the latin word for helix, which is the spiral form of its microscopic strands. 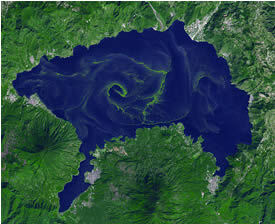 Blue green algae is plentiful in lakes and inland bodies of water that are warm and alkaline. For more than a thousand years, the native peoples of Mexico, Africa and Asia have eaten spirulina and made it one of their major sources of protein.